I am still moving forward on my goal for 50 books in 2018! I started at 25 as my goal, but quickly decided that it was more ambitious to do 50. I have now clocked in 13 books toward my 50. I have to keep reading 4 or 5 books a month to make it to my goal. March was super intense in everyway, so I am feeling very impressed with myself to get 4 in this month. April is really a full month in the life of the university, so we shall see how I do next month. The Nightingale was my book club book and our group met last night so the discussion is fresh in my mind. Set in WWII in France, two sisters respond to the war in different, but equally heart-wrenching and inspiring ways. 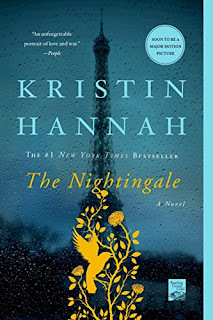 Kristin Hannah gets inside of a woman's unique experience as a wife, mother, refugee, spy, secret-holder and grief-bearer. It is a book about profound suffering and what women do to protect life. Really a phenomenal, gripping tale, the book group loved it although it was deeply emotional at points. We talked ethical dilemmas until late last night because the book is full of them. I read Anne of Ingleside last fall when I was looking for a cozy comfort read. I love books about big families and Anne of Ingleside did it. 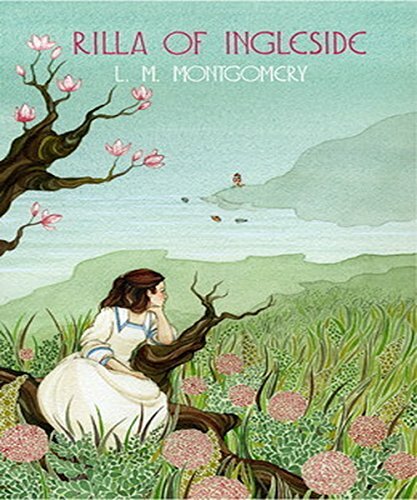 I found Rilla of Ingleside (Anne's daughter) when looking for books for my son and picked it up for another cozy read. Instead, it's about WWI and about loss--the loss of family members, the loss of innocence, the loss of self. While the Anne of Green Gables books all deal with loss and grief to some extent, this one surprised me. It was an interesting window into the impact of WWI in a Canadian village, something I truly have never given thought to. I enjoyed it and it had cozy moments too, but my big takeaway is the question: how do you live when everything about life changes drastically? 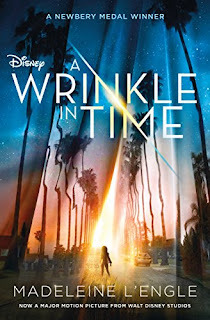 My friend Koby and I went to the see the movie and as we are both huge Madeleine L'Engle fans we both reread Wrinkle prior to the film. The read was great--I had forgotten big chunks of the story line and thoroughly enjoyed it again in a fresh way. The movie was a fine movie, but I didn't find it a good version of the book. It had it's own agendas to take care of and being true to the storyline did not seem to be one of them. However, I did enjoy the film, but the book is better. Of course. The book reminds me how much theology and astrophysics are connected. I am a huge fan of the enneagram. I teach the enneagram to college students as a guest lecturer and I love to talk enneagram to anyone who is interested. My husband knew I love the enneagram and that I know the author, Chris Heuertz, so lo and behold, this book showed up on my kindle. 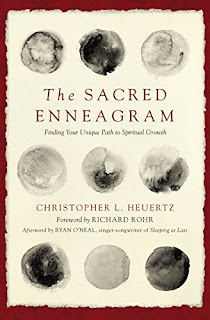 I recommend this for anyone interested in the enneagram journey. I deeply appreciate the message of grace that is woven into the reflective work. And I will post more on the enneagram and how it is a soul seminary. So there you have it! My reads for March. 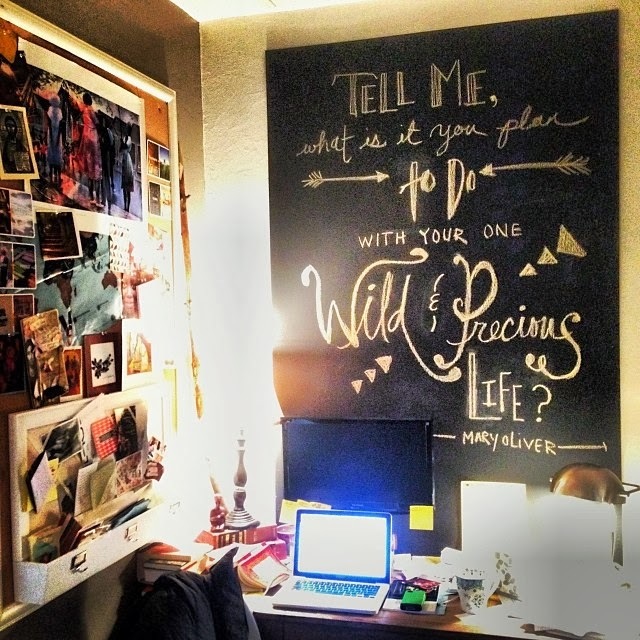 Are you reading anything good I could add to my list for April? We have 936 weekends before a child turns 18, so intentionality is the aim. 2018 has come in hot and fiery--between work travels for both Clint and me, a bout of flu for Clint and an additional class he picked up at the last minute to teach, the death of Clint's grandfather and a week family travels to South Dakota, an overnight hospital stay for Emily: it's been full. About a week ago things began to turn a corner and this weekend I felt it slow down. This was Board weekend at the University. I had Board responsibilities until 7:45 p.m. on Thursday and all day Friday until 7:00 p.m. Clint took both kids to Kai's final fencing class at the Y. I was planning to attend the ballet event on campus, but by 7:00 p.m., I was totally done in. I went home and rested for a few minutes until the kids came home. Ended up going to bed fairly early on Friday evening. Saturday morning I had to be on campus by 7:45 a.m. for Board stuff. My parents took Kai to his swim lesson on Saturday morning and Clint hung out with Emily. I was home by 9:15 a.m. (not bad!) and took over for Clint so that he could teach his online class (a live session). Kai didn't get home until 12:30 p.m. because my parents took him out for breakfast and then he had a short playdate. Emily took an early nap and I read for over an hour! The afternoon was pretty low key and full of kids. I made chocolate chip cookies with Kai and I worked a bit in the breezeway (our word for the mudroom) that I am turning into my office-playroom-mudroom. I made beef stew for dinner. Baths for both kids. Clint and I watched a strange sci-fi movie and I fell asleep in it toward the end and stumbled to bed. Sunday we did church, lunch at my parents, a nap and a park visit. Fast dinner, pick up the house and move the laundry forward. Clint is reading The Lion, the Witch and the Wardrobe to Kai. Emily fell asleep instantly in her crib--apparently we wore her out today. Clint and I had a "staff meeting" and planned Madi's upcoming 18th birthday celebrations and planned the weekend that some good friends and Word Made Flesh staff members are coming to visit. It was a good weekend. Lots of time with the little kids with snuggles and hugs. Emily continues to adore Kai. He's the sun and moon to her. Wherever he is, her eyes are on him! I am going to read for 20 minutes and head to bed! I have a goal to read 50 books in 2018 and I am doing great [so far] on my goal of 2 or 3 books a month. (9 so far in 2018!). This month travel helped me read more--time on the plane and on a road trip added to some reading hours. I started the month with Slaying the Debt Dragon: How One Family Conquered the Debt Dragon and Found an Inspired Happily Ever After. At the University, we hosted Cherie Lowe to do a day's worth of talks on Faith & Debt. Cherie shared her family story of paying off $127,000 in four years. The students loved her positive, shame-free wisdom of how to get and stay out of debt. It was inspiring! Better than Before inspired me to stop eating dessert (which I am still doing--although I have had some dessert in the last month, but MUCH less dessert! ), Cherie inspired me to knock out some lingering debt we want to take care of. Cherie's book is down-to-earth, fun and filled with practical suggestions. 4 star recommend! books I listen to and have specific criteria (fast-moving, suspenseful, usually YA). I read a ton of reviews before I commit to listening to a book. This one I chose on a whim! 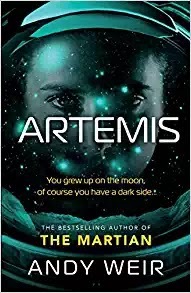 Artemis is a fantasy-type novel about a young woman who lives on the moon and gets mixed up in some low level crime that makes her a target by a mafia-style moon-based company. It's by the author of The Martian which is why I chose it. I liked it overall--the second half is much better than the first. Good suspense at the end! I really enjoyed the moon city world which was very scientifically believable to me. Quite a bit of vulgarity so I don't recommend. 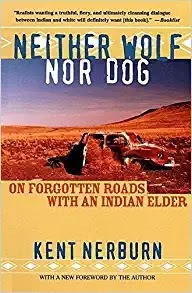 The Book of the Month for me was the book club book--Neither Wolf nor Dog: On Forgotten Roads with an Indian Elder by Kent Nerburn. It is essentially a memoir by an Indian elder written through a white man's eyes--but true to the Indian experience--a lot of the memoir was taped verbally. This book stole my heart and opened up my mind to the experience of the First Nations people. Profound, beautiful and terrible, I realized how little I know (and have taken time to know) about reservation life. This is a must read for all of us. I need to do a whole separate post about this book. Please read this! THIS BOOK. Another one that deserves a post all on its own. I will be writing about this because this reflective, essay-style writing met me right where I am. I am constantly thinking about how to be intentional with my time and how time management gives us an illusive experience of being in control of our lives. Tish Harrison Warren helps us hold time and the everyday events of life with holiness and gentleness. 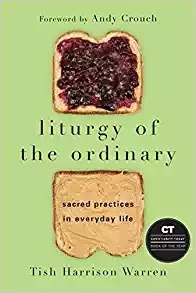 Awash in beauty and theological depth, this is a transformative book on how our lives are constantly acts of worship. A great read for this lenten season! Sneak peak of March: I just finished Rilla of Ingleside and have started The Nightingale (book club book) and have Subversive Sabbath sitting on my couch. 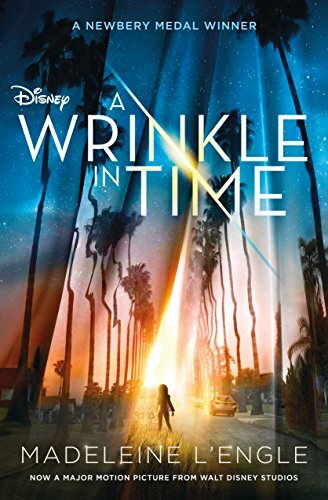 I am trying to finish A Wrinkle in Time (I have read it before several times), before I see the movie this week. I am Sarah Baldwin and I serve as a small Christian college vice president. 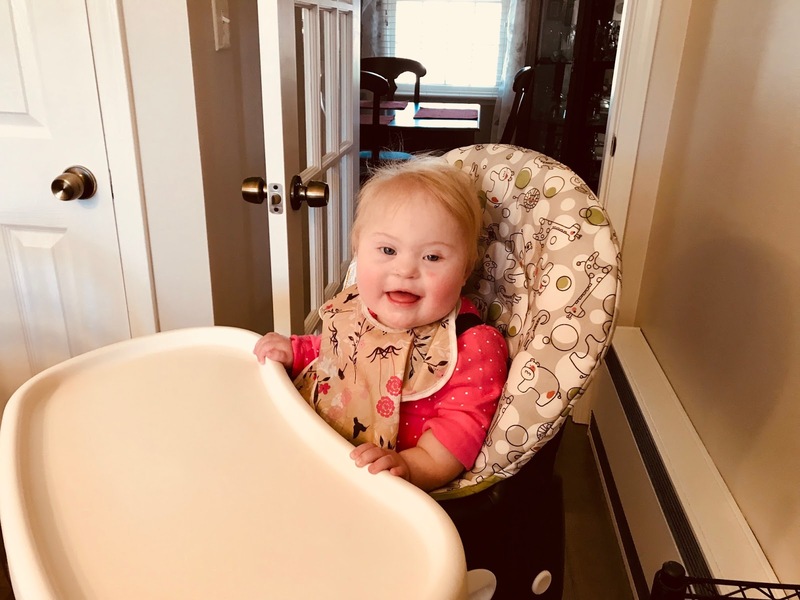 I also am a pastor, writer, speaker, wife of 24 years and mama to three--a college student, 5 year old and 1 year old with Down syndrome. I am on a journey to being a whole and holy person. I do not want to waste any of the beauty or wisdom of the fiery life. 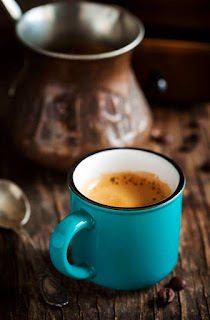 I write about living my whole life with a practical, on the ground theology: leadership, intentional time stewardship, special needs parenting and living an all in life.